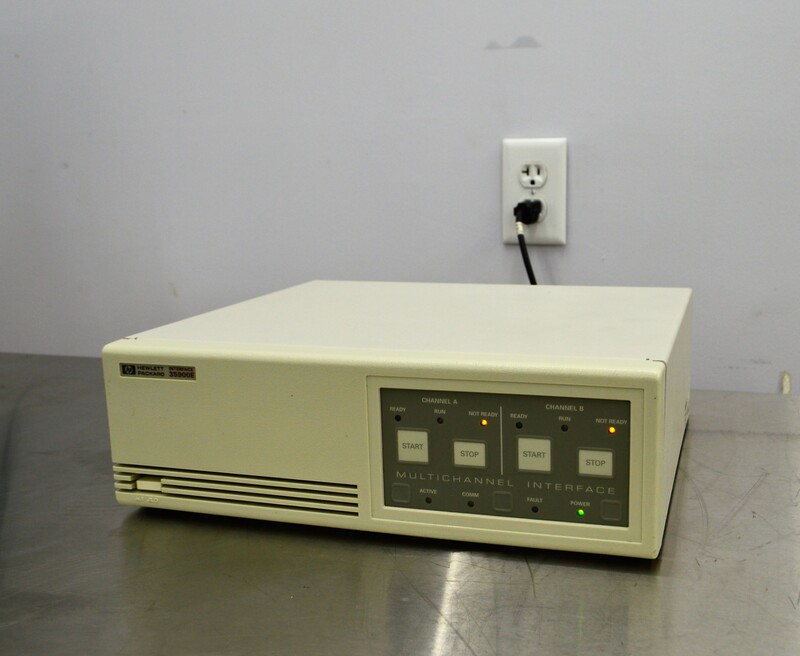 Agilent Hewlett Packard 35900E Multichannel Interface . New Life Scientific, Inc.
-Condition: Powered On and passed self-checks. The technician used dry air to remove dust from inside the interface. According to the directions in the manual, the technician powered the interface on. The front panel's indicator lights illuminated for 1-2 seconds, then went dark excepted for the power and fault light. The fault indicator blinked while the interface performed self-checks. The fault indicator turned off after 30 seconds, leaving the power light on only. The 'not ready' indicator lights illuminated, likely searching for connections. The HP multichannel interface is in good cosmetic condition and the demonstrated response when powered on was outlined in the product manual as appropriate.